I was almost about to forget what is possibly one of the biggest genres in the world. I mean I told you that I'd give you Rock, Country, R&B/Motown and Oldies Christmas specials. How could I possibly forget Pop! Well, I'm glad I remembered in time. Here we go...some of my favourite Pop Christmas hits! Another kid who can really really wail is Josh Groban :) Man what a powerful voice he has. Here's a song from Noël, a #1 Christmas album by him. It was released on October 9, 2007, and on December 13, 2007, the RIAA certified it Quintuple Platinum, recognising five million shipments in America. And while we're on this classical voices thing, I just can't miss out Andrea Bocelli. One of my favourite operatic singers. Here he is singing one of my favourite Christmas songs and he's doing it with the daughter of the man who really sang the definitive version of this song. The lady has just made a comeback after many years with a new album called "I Look To You" but here's something from one of her older albums. Just listen to her voice on this! Brilliant!! Taylor Swift is just about the hottest new thing around in America and why not? She's got a brilliant voice and a phenomenal sales record. Here's something from a 2007 Christmas EP that she put out. But if you're talking about really hot stuff...the fairy tale kinda crazy mad hot stuff...look no further. Take a look at my next singer. Her name is Susan Boyle and I wouldn't be surprised if you told me that you had no idea who she was a year ago...but this year, thanks to the magic of a show called "Britain's Got Talent", Susan Boyle has now become a household name! After doing really well in the competition, she released her first album in November 2009 and it debuted as the number one best-selling CD on charts around the globe. I Dreamed a Dream became Amazon.com's best-selling album in pre-sales on 4 September 2009, three months before the scheduled release. In Britain, Susan's debut album was recognised as the fastest selling UK debut album of all time selling 411,820 copies beating the previous fastest selling debut of all time, Spirit by Leona Lewis. In the U.S., the album sold 701,000 copies in its first week, the best opening week for a debut artist in over a decade. It has gone on to sell 527,000 in its second week at number one and is expected by Billboard to top the chart a third week and to become the biggest selling LP of the year. The album has topped the chart for the 3rd consecutive week selling another 582,000 copies, as reported by Billboard, and as of November 17, 2009 is 700,000+ from album of the year. This has in turn garnered more media attention, as mentioned by People Magazine. I Dreamed a Dream also outsold the rest of the top 5 albums combined. It's the first album of the month in the Italian #1 Account by a non-Italian artist ever. In only a week, it already sold more than 2 million copies worldwide, becoming the Fastest Selling Global Female Debut Album. Holy crap eh!! And you thought reality shows were for the birds? Think again! Here's a beautiful classic done her way, from that album. Chose it just cause Jessica Simpson's singing it :) She's hot! :) Come you know she is :) heh. My next song is sung by an absolutely wonderful singer. She sings jazz and jazz standards and here's her take on a Christmas classic! I truly believe that my next singer has one of the greatest voices in female pop history. Sure she's a little weird and had some super-freaky stages in her career but which young poplet these days doesn't? All of that doesn't take away anything from her singing chops! The lady can sure sing! Don't believe me...here...listen! For me, it's just not Christmas till I hear Celine Dion singing. I LOVE this song and the way she sings it! One of my favourite singer-songwriters in the world and a man I immensely admire is James Taylor. He's always been one of my biggest influences and here he is singing another Christmas Classic. Another lady with an incredible voice comin up! Of all the people who've performed on the American Idol stage, this next guy always stands out in my eyes. I loved the way he did Angels by Robbie Williams and Imagine by John Lennon. Great covers. Here's a song from his Christmas album. "Black Horse and the Cherry Tree" was the song that shot this next singer to fame. Here she is doing a Christmas classic. People LOVE this next song. Was one of the biggest hits for Wham! The song was written by George Michael and is one of his most covered songs. What I mean is, a whole bunch of people have recorded this song after Wham! put it out in 1984. "Jingle Bell Rock" is the name of a popular Christmas song first released by Bobby Helms in 1957. The song has been recorded by a LOT of artists since then. Here's a very intresting video :) Heh :) Check out Hall and Oates version of the song! "Early Christmas Morning" was the only single from Cyndi Lauper's Christmas album Merry Christmas...Have a Nice Life. That's the song I've got coming up next! My next singer had some massive hits like "Can't Smile Without You", "I Write the Songs", "Mandy", "Weekend in New England" and "Copacabana". Here's a Christmas song by the very same man who sang all of those beautiful songs. Apparently, in 1984, due to perceived similarities between "Last Christmas" by Whem! and the song "Can't Smile Without You" by Barry Manilow, an out of court settlement was reached in which the first year's royalties for "Last Christmas" were donated to "Band Aid" charity which had just started off around then. Harry Connick, Jr. is an American singer, actor, composer, and pianist. Connick has sold over 25 million albums worldwide. He is ranked among the top 60 best-selling male artists in the United States since 1952, by the Recording Industry Association of America, with 16 million certified albums. He has seven top-20 U.S. albums, and ten number-one U.S. jazz albums, earning more number-one albums than any other artist in the US jazz chart history. He has won three Grammy awards and one Emmy Award. Incredible eh! Here's a Christmas song by the man. Alvin and the Chipmunks was an animated music group created by Ross Bagdasarian, Sr. in 1958. They went from being on an animated tv show to having a movie made on themselves! Not band for 3 chipmunks eh? The next song I have for you was a song written by Ross Bagdasarian, Sr. (a.k.a. David Seville) in 1958. Although it was written and sung by Bagdasarian (in the form of a high-pitched chipmunk voice), the singing credits are given to The Chipmunks, a fictional singing group consisting of three chipmunks by the names of Alvin, Simon, and Theodore. The song won three Grammy Awards in 1958: Best comedy performance, Best children's recording, and Best engineered record (non-classical)!! Now what can I say, another artist I really need to hear at Christmas is Kenny G.
Silver Bells is a Christmas song I love! Here's Kenny G's version of the song! Okay, I'm kinda cheating on this next one :) I just wanted an excuse to have Bing Crosby on the show...and here, I got it. Check out this awesome rare song that I have for you! Hope you enjoyed this Christmas special as much as I enjoyed putting it up! I'm sure it's still in the markets. Go pick it up today! Merry Christmas to you all once again. 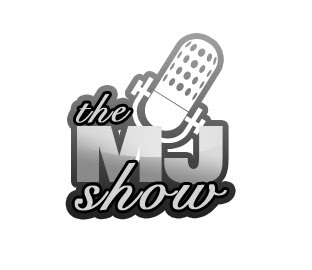 There's still loads more music to come this season on The MJ Show!!! Take care...and...have a great day!